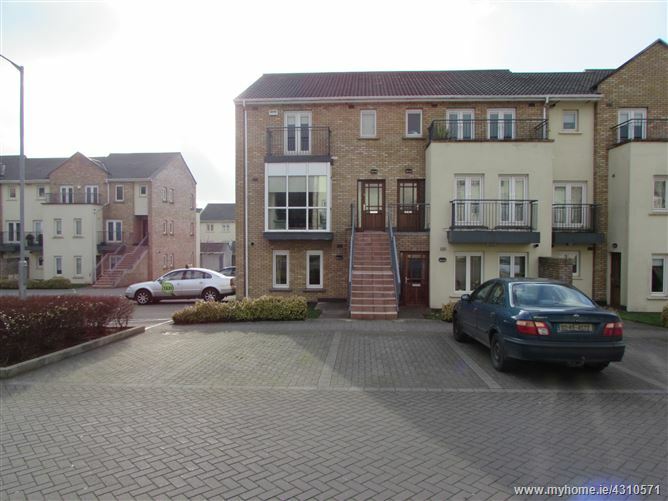 ROBERT LOWRY PROPERTIES present are SALE AGREED on this GORGEOUS 'OWN DOOR' 2 BED 2 BATH GROUND FLOOR APARTMENT with Gas Heating & Parking for 2/3 Cars, beside Blanchardstown Village, James Connolly Hospital, NAC, N3 & M50 and close to Blanchardstown Shopping Centre, Ballycoolin & Damastown. Accommodation consists of Own Door, Large Living/Dining Area, Fully Fitted Kitchen, Two Double Bedrooms with Built in Wardrobes, Master Bedroom Ensuite, Bathroom with Bath & Shower and access to Large Rear Communal Gardens. Suitable for First Time Buyers and Investors alike. Please Contact Robert Lowry @ 086-0236685. Ensuite: 1.75m x 1.75m approx. With Tiled Flooring and partly Wall Tiled, Wc, Whb, Bath & Shower. Management Fee: €720 per annum.